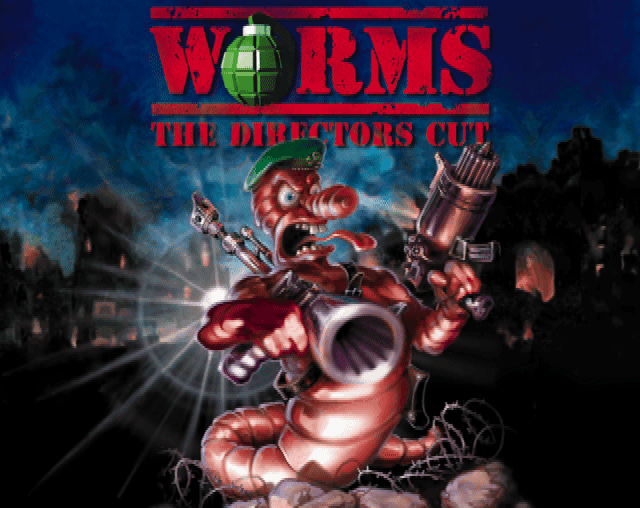 Worms: The Directors Cut (developed under a number of working titles of WormsAGA, Worms+, Worms 1.5, Worms: Mad Cow Edition, Worms '97, and Worms: The Next Generation, but most commonly shortened to WormsDC) is a strategy game developed by UK-based company, Team17. It was the last game the company released for the Amiga home computer system, as the games market for the computer had begun to dry up by the time this game was released in 1997. Adding new elements and weapons to the Worms gameplay, this is generally considered to be the finest entry in the first generation of Worms games. Built largely around the game engine for the original Amiga version of Worms, series creator Andy Davidson added a slew of new features and weapons to the game. Most of these weapons and features were carried over to later installments in the game save for one weapon, the Sheep-on-a-Rope, and the enhanced customization features, which were severely parred down for future releases. Davidson produced this version of the game as a testing bed for new features, and to convince Team17 to make improvements to Worms 2 which, at the time, was simply going to be an updated version of the original game. On June 1st 2018, Andy Davidson posted a screenshot on his Instagram showing the WormsDC title screen and a new version number of 1.5 alpha and a build date of May 2nd, 2018. No release for this updated version has been announced as yet. This page was last modified on 29 November 2018, at 08:27.